Assalamualaikum wbt and good day all! This would be the longest test review i have ever done i guess. I have been using this shampoo for about a year now since my last hair cut after my wedding. My scalp used to be super oily now but with this great shampoo, the oiliness reduces dramatically and i really am in love with this shampoo. 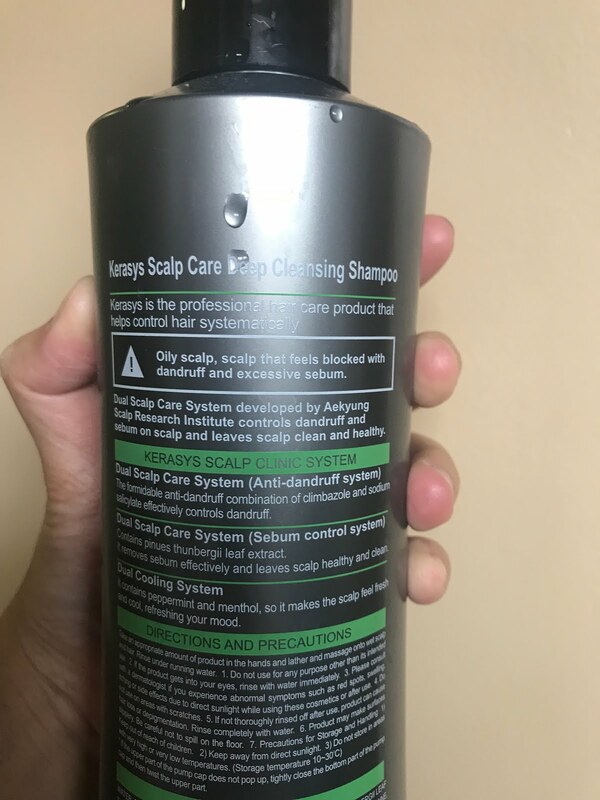 Actually, the hair dresser recomended me to purchase their scalp cleansing shampoo but it costs RM 150 ish in which i think is super expensive for a shampoo. After the hair cut, i can still remember that we went to Watsons and scout for a scalp cleansing shampoo and found this! The costs is much lesser than RM 150. This one costs about RM35 - RM 38 (depending where you buy them) and not all drug stores have them. So far, i noticed that only Watsons and Aeon Wellness is selling them. I personally like this shampoo because it does not make my scalp oily anymore. Which is a miracle. Even my scalp is less itchy or not itchy at all. Sometimes if you can see me scratching my scalp it is just because i am trying to find if there's any pimples on my scalp. That was one of my habit. Hehe. If you do have an oily scalp, you are actually prone to scalp acne and also itchiness. One of the best features inside this shampoo is that, it has a cooling system with peppermint and menthol so it makes my scalp feel fresh and cool. Hehe. It's like when i used to shampoo my hair using a FollowMe Ice Cool shampoo. Haha. That one is freaking cool okay! It makes my hair and scalp feels super duper windy. Haha. 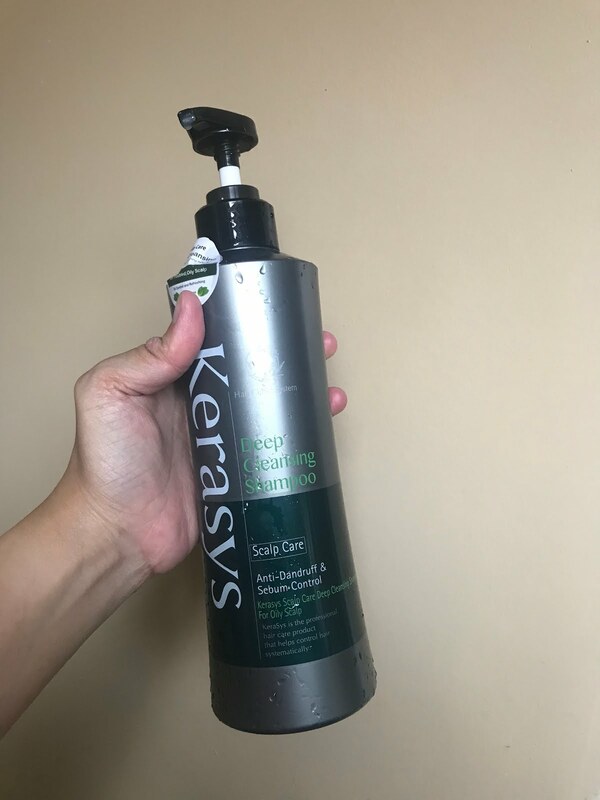 Apart from the cooling system, this shampoo also controls the sebum from producing more hence it lessen the possibility of having your scalp to be oily plus, it also has an anti-dandruff system as well. So a complete package! 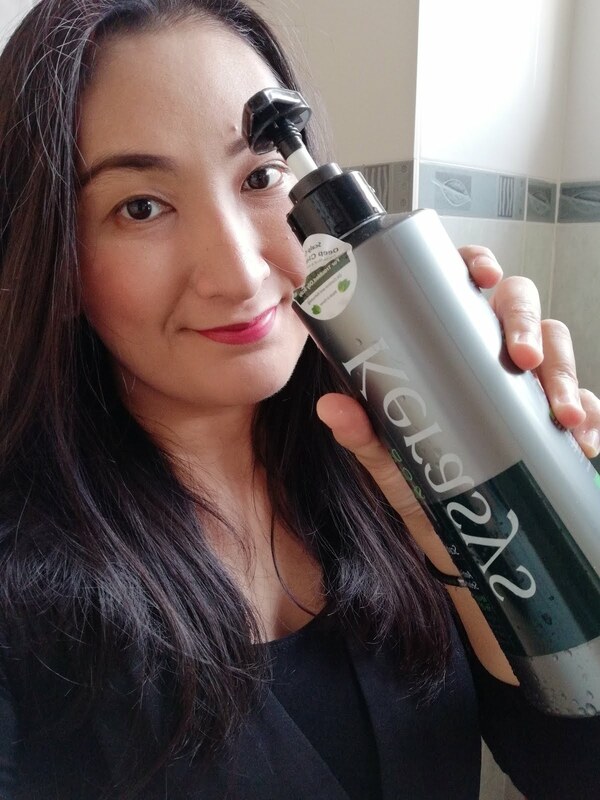 So far, I am loving this shampoo and might not going to change to other shampoo at the time being. It makes my scalp feel fresh and cool and no itchy at all. My hair used to be super oily if i have not been washing my hair for a day. Well, during my time giving birth to Marissa, i have not been washing my hair for about 4 days and it still looks manageable to me. Hehe. I recommend this shampoo to all currently having oily scalp. You will see the differences after using it for sure!